Concerns have been raised over the amount of salt and sugar in breakfast cereals sold in the UK. A new survey finds that a large bowl of Kellogg’s Frosties can contain nine teaspoons of sugar with a whopping 37g in every 100g. That’s over half (58 per cent) the recommended maximum intake for a six year-old in a small 30g serving. Almost six-in-ten breakfast cereals are too sweet – with a shocking difference in levels found in the same brand depending on which country it’s bought in! Crunchy Nut Cornflakes and Coco Pops – both made by Kellogg’s – had almost as much with 35g, then came Nestle’s Lion (29g), Nesquick and Cookie Crisp (both 25g) and Cheerios Honey (24g) followed by kellogg’s Frozen (21g). WASH (World Action on Salt and Health) said the UK leads the way with salt reduction but still has a way to go with sugar reduction. It selected 19 products manufactured by Kellogg’s and nestle/General Mills from 29 countries for comparison. 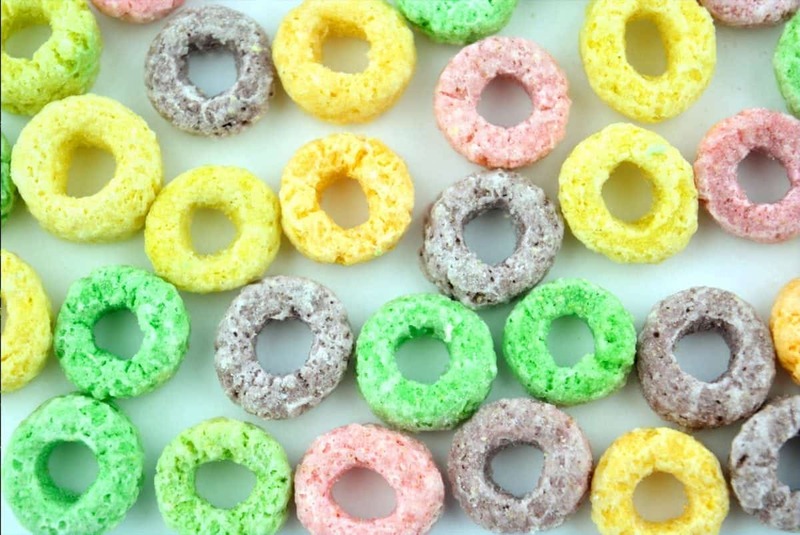 The cereals with the lowest sugar included Kellogg’s Corn Flakes with only 8g per 100g. But only two products were still above the government’s 2017 salt target for breakfast cereals. These were Kellogg’s Rice Krispies and kellogg’s Corn Flakes at 1.13g/100g – demonstrating the success of the reduction programme. WASH nutritionist Saadia Noorani is calling on Public Health England to make sugar intake in cereal a priority for next year. She said: “It’s ridiculous you can go from one country to another and buy the same brand of cereal – yet get a completely different product. “Our findings clearly show both sugar and salt content varies among the same breakfast cereal sold in different countries with huge differences. “We can see some countries are supplied the exact same product whilst others are offered a diffrent product with higher levels of salt and sugar.